I love popovers. LOVE THEM. Sadly, even though I have made this recipe several times over the last couple of weeks, I cannot make them look pretty in a photograph. 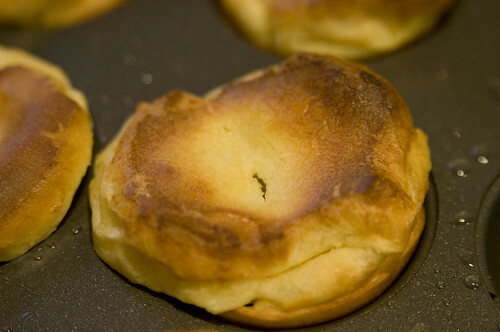 Luckily, they are crispy and pop-over-y on the outside and soft and warm on the inside, even if they are not the prettiest popovers and don't like to come out of their tins without a struggle. It's actually my mom who always made me popovers. They were one of my favorite things to eat for breakfast or snacks when I was a kid, especially when my mom would put a spoonful of jam in the middle of them before putting them in the oven. As it turns out, my gram is the one who gave my mom her fail-safe popover recipe, so I guess I in part have her to thank for all of my tasty popover filled mornings. Popovers are easier to make than I expected them to be. 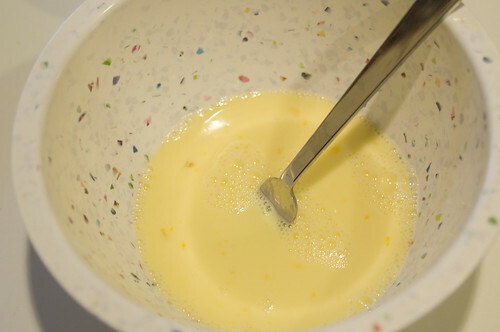 The only hard part is waiting for the ingredients to come to room temperature, and remembering to heat up the pan before pouring in the batter. If they didn't take 40 minutes to bake, I would want them for breakfast every day, even though I guess that they aren't technically a breakfast food. 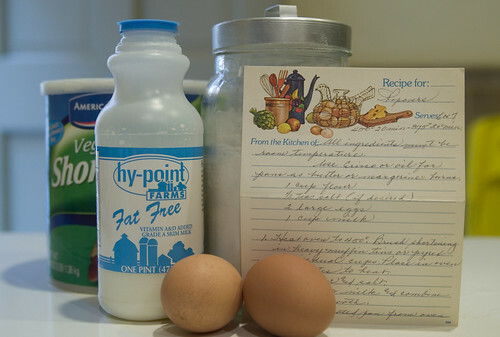 Remember, all ingredients must be at room temperature! 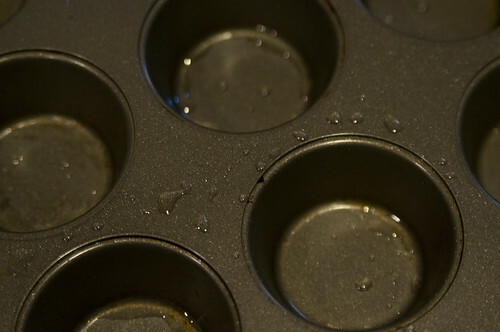 Brush inside of popover or heavy muffin tins with crisco- butter or margarine will burn. Place tin in oven to heat. 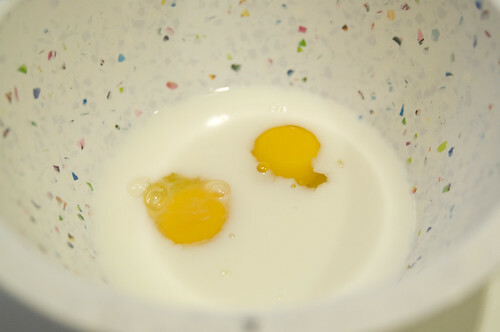 Combine with flour and mix till smooth. 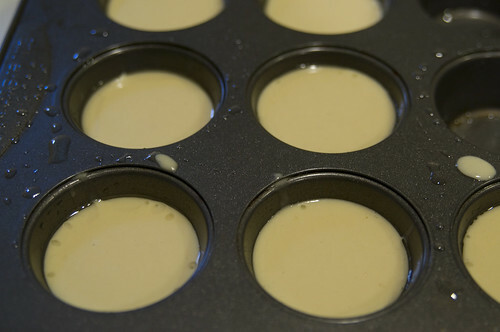 Remove heated pan from the oven and immediately pour mixture into hot pans - fill them at least 2/3 full. 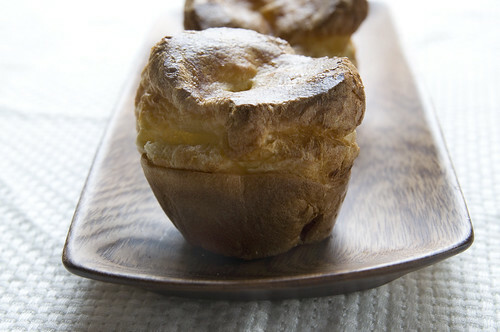 Remove from oven, and with a sharp knife cut slits in each popover to allow steam to escape. 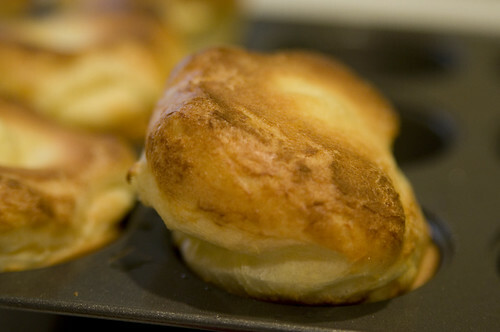 Lower the oven heat to 375 and bake popovers another 10 minutes or so.